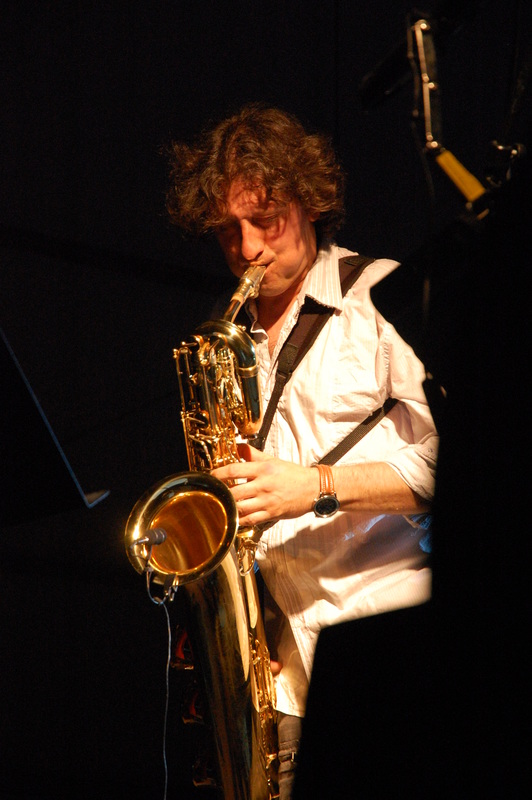 As a graduate in jazz baritone saxophone of the Conservatory of Nice, Roaldès studied classical then jazz under Jean Marc Baccarini. In the late 1990s, he was a member of Radical El Salam, a reggae combo who released an album which sold well across France. He then played with French chanson group Barizone Comedia Orchestra, who recorded an album in 2008. He has taught saxophone at CEDAC in Nice since 2004, as well as saxophone and jazz ensemble classes at Contes School of Music and Mandelieu-la-Napoule Municipal Centre of Culture. For over ten years he led a brass band, Fanfarons des Diables Bleus, before founding Mister Moon, a jazz outfit with a fluctuating roster. He currently plays tenor saxophone in French chanson group What A Zoi and with Brazilian singer Jussanam, as well as baritone saxophone for the Caruba Jazz Band and the Bakasax group.